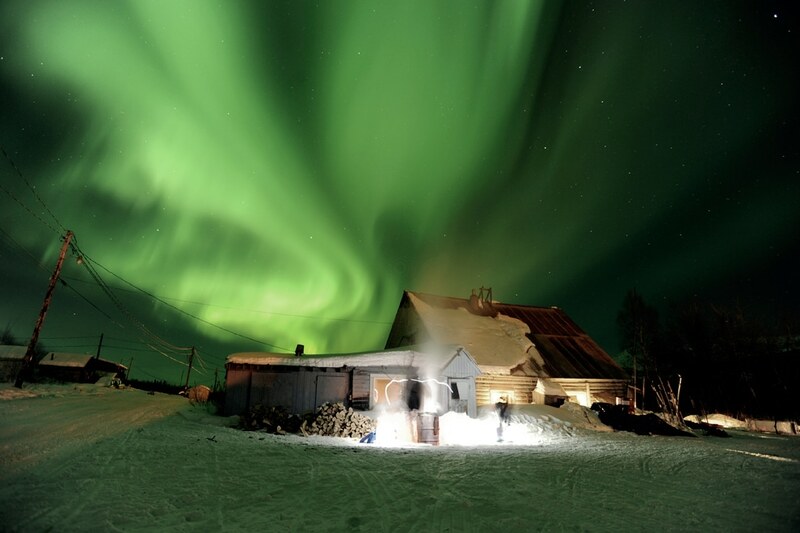 The image above is taken in Takotna, Alaska during the Iditarod Trail Sled Dog Race on March 9, 2011. The green in the sky is the aurora borealis. More phenomenal photos from 2011 are in the Other section below.